For the past four seasons that I have been covering the Carolina Hurricanes for The Hockey Writers, I have formed an opinion as to what the team’s most crucial need is. After reviewing some numbers, I am beginning to re-think that opinion. I’m not abandoning totally what I believe the team needs, but I am seeing more clearly another area that, if not upgraded, will prevent the team from ever becoming a playoff contender. One thing is for sure, the Hurricanes need to figure out how to put the puck in the net, or we will be having this same conversation again this time next year. Would you have wondered if I were telling the truth about the date had I said that I wrote that statement at the end of the 2015-16 season, or at the end of this past season? Probably not. The Hurricanes have struggled offensively for quite a while. 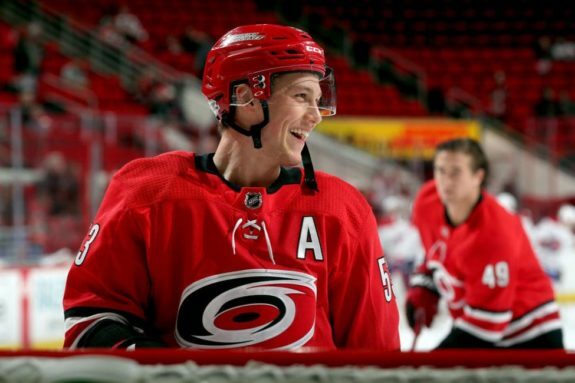 Whether it was their star forward, Jeff Skinner, sustaining a third concussion and taking until this past season to look like he was not still apprehensive, or the overpaid, under-performing Alexander Semin suddenly abandoning the game, the Hurricanes’ offense has sputtered. A cursory glance at last season’s goal differential—goals scored minus goals allowed—speaks volumes. For example, the Nashville Predators had a goal differential of plus-57 as they scored their way to winning the Presidents’ Trophy. They scored 261 goals and only allowed 204. The Stanley Cup-winning Washington Capitals had a plus-18. Compare those numbers with the Hurricanes, who scored 225 goals and allowed 253. This gave them a stout minus-28 goal differential. This comparison is in no way intended to be an exercise in advanced analytics, but it is a snapshot that shows the Hurricanes need more offense. 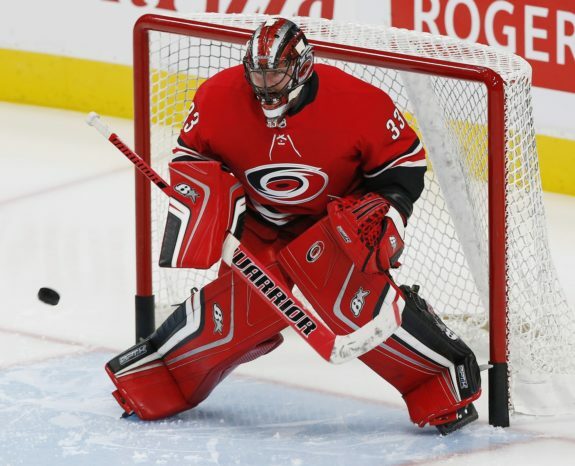 Obviously, the play of Scott Darling, who was brought in to replace Cam Ward as the starting goaltender, contributed mightily to the team’s weak goal differential, but the fact remains that the ‘Canes need more offense. But, is it possible that it’s really more of a goaltending issue? This is where I am re-thinking what the Hurricanes need to be a playoff team. If Bill Peters is fired by the Carolina Hurricanes, the #NYR should inquire. Underwhelming resume, but clearly not all his fault. The Hurricanes are consistently one of the top teams in corsi. The problem? The Hurricanes are apparently quite adept at shooting the puck. Perhaps the team’s fault is not entirely offensive. They do need to either take better shots or work to get the “greasy goals” in front of the net. But, they MUST have a top-notch goaltender. Without that part of their positional defense receiving a big upgrade, writers like me will continue to try to figure out what it is that is keeping them from the playoffs.